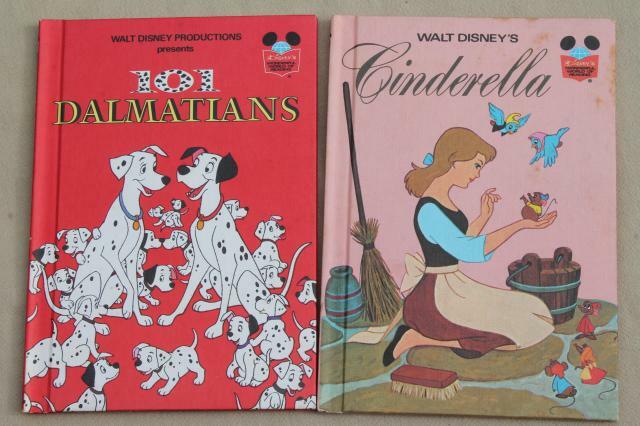 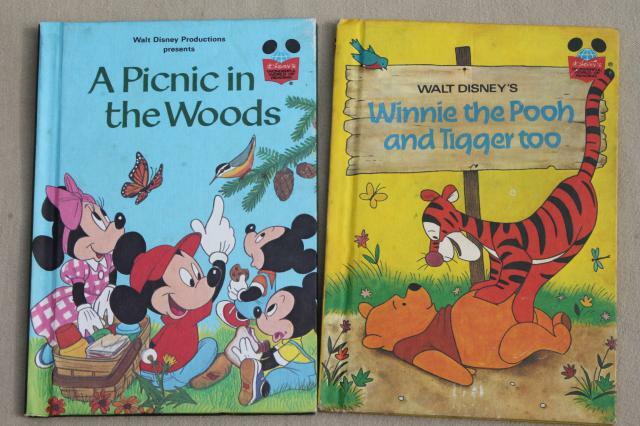 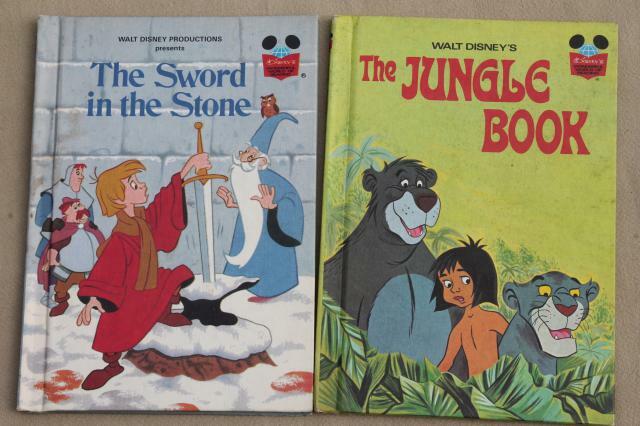 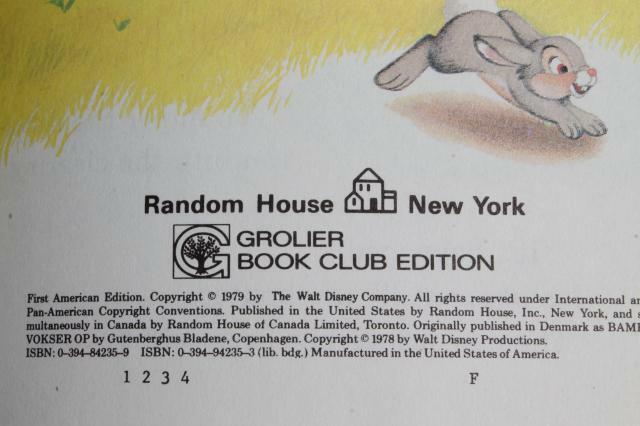 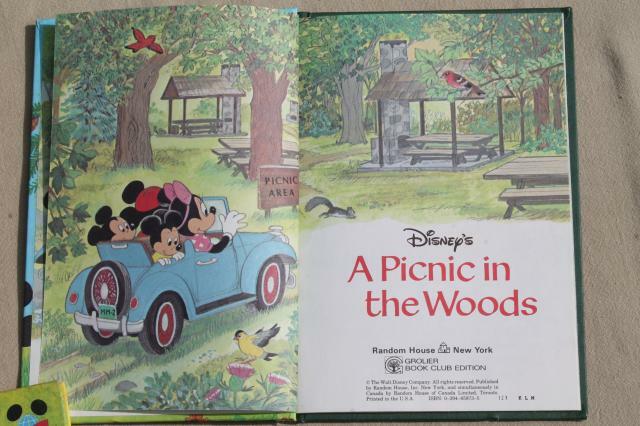 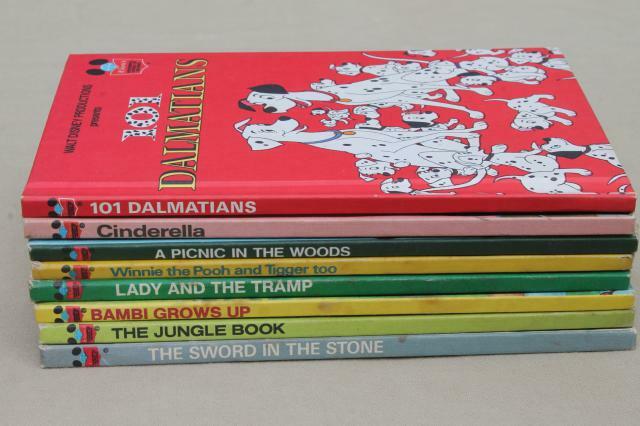 Vintage Disney movie picture books, all hardcovers, showing a good bit of wear. 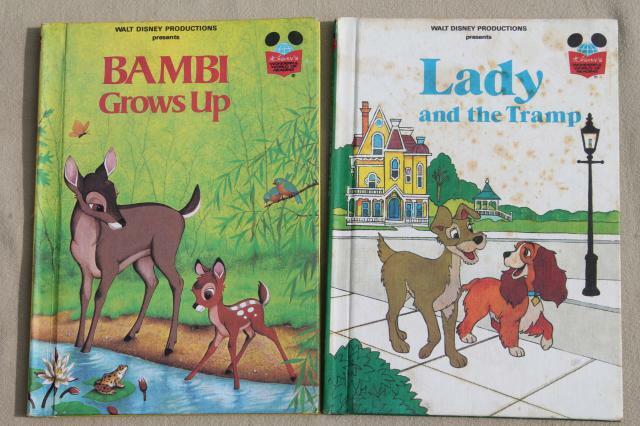 Most of these are 80s, I think - though some might be 70s? 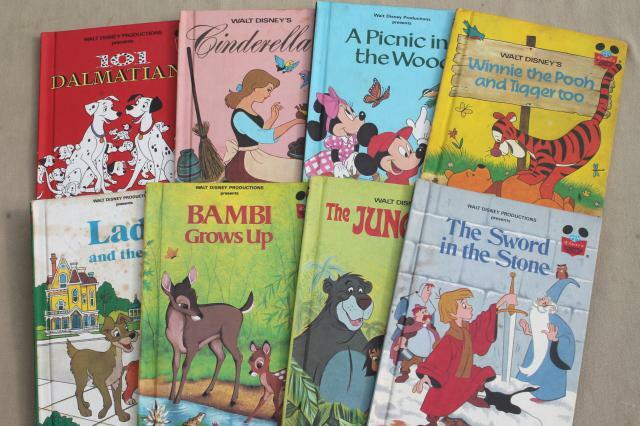 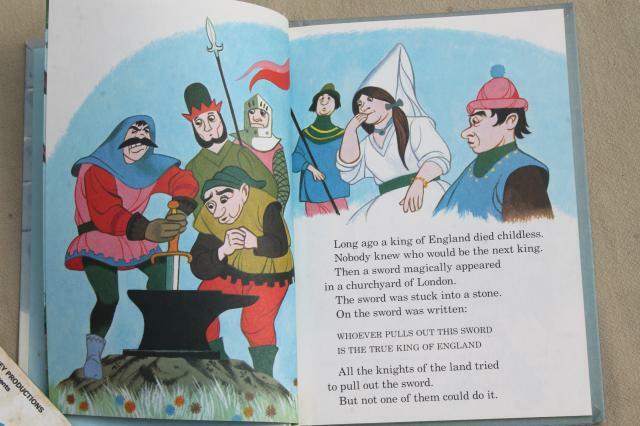 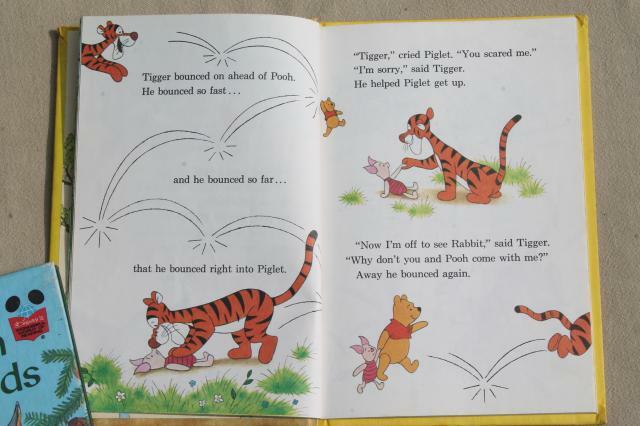 Titles are 101 Dalmatians, Sword in the Stone, Winnie the Pooh, Lady and the Tramp, Jungle Book, Bambi Grows Up, Cinderella, A Picnic in the Woods.